Straight to you from a 100 square-foot studio in Raleigh, North Carolina. 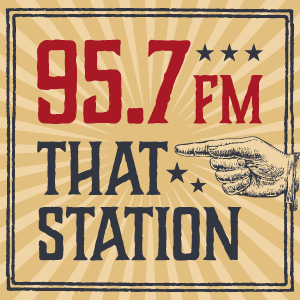 That Station is an app-based station, which means the best way to get the full That Station experience is to stream us on our free app or listen online. No pop-ups or commercials. Just good music — anytime, anywhere. You can search for and enable skills in the Alexa app and from the Alexa Skills store on the Amazon website. 1. Go to the menu, and select Skills. 2. Search “95.7 That Station,” select it to open the skill detail page. Tip: Refer to our skill’s detail page for examples of things to say and to learn more. Click here to listen live to That Station. Plus, see the past two hours of music played — just in case you didn’t catch the name of a new favorite song.